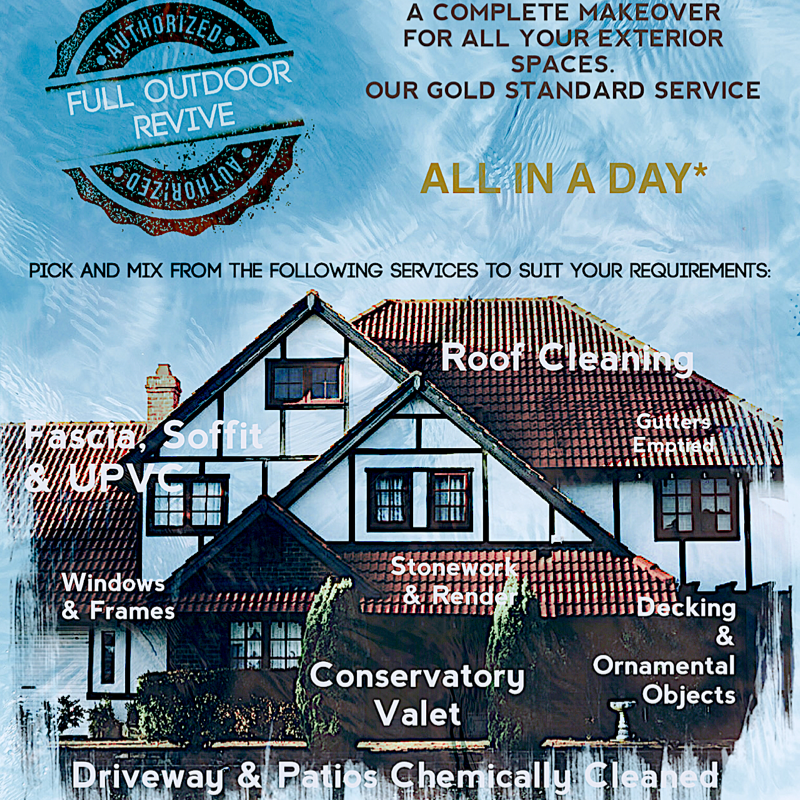 Revive Outdoor Cleaning are proud to offer householders in Staffordshire & Cheshire our most popular service – The Full Outdoor Revive. The Full Outdoor Revive was conceived when we identified that many of our customers wanted subsequent services after partial Outdoor Cleaning had been completed. For instance many householders after having a conservatory cleaned would then want their patio cleaned, Fascias, soffits etc. Ideal for busy householders, those trying to sell or rent a property & enhance kerb appeal or simply those wanting to spruce up their outdoor spaces for Spring & Summer – The Full Outdoor Revive can be tailored to suit your needs. Covering Staffordshire & Cheshire – Our professional, trained operatives will call & give you a quote for the services you require. There will be one set price. The Revive Outdoor Cleaning ethos is centred around our being cheaper the more services we complete whilst we are on site. Our operatives are fully trained & competent in all areas of Outdoor Cleaning. When on site our opearatives wear uniform & employ all personal protection equipment required in line with working at heights regulations. Company Cherry Picker is also available.